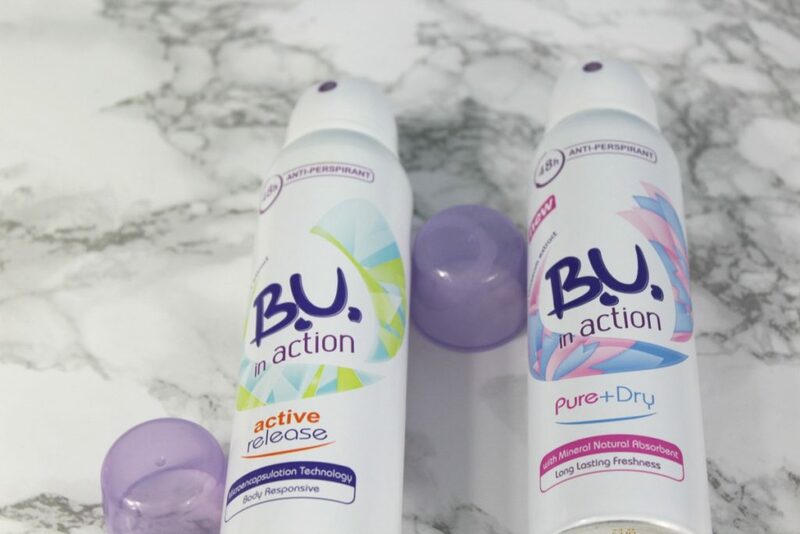 Hello my lovely readers, today I’m back with my impressions on two deodorants I have used this summer and loved. 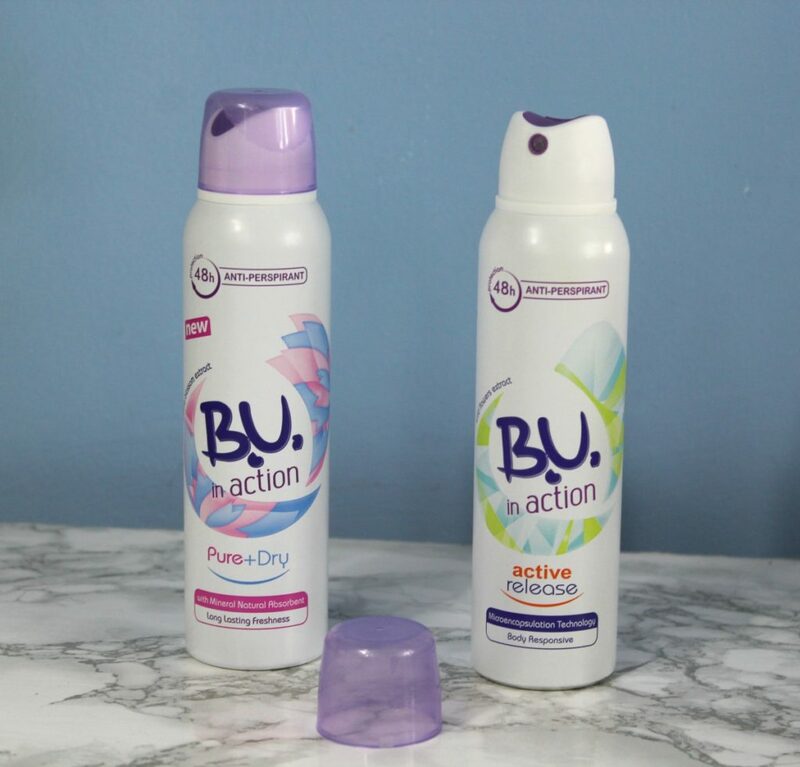 I have participated in the #BuinactionRo campaign over the summer and have discovered the B.U. 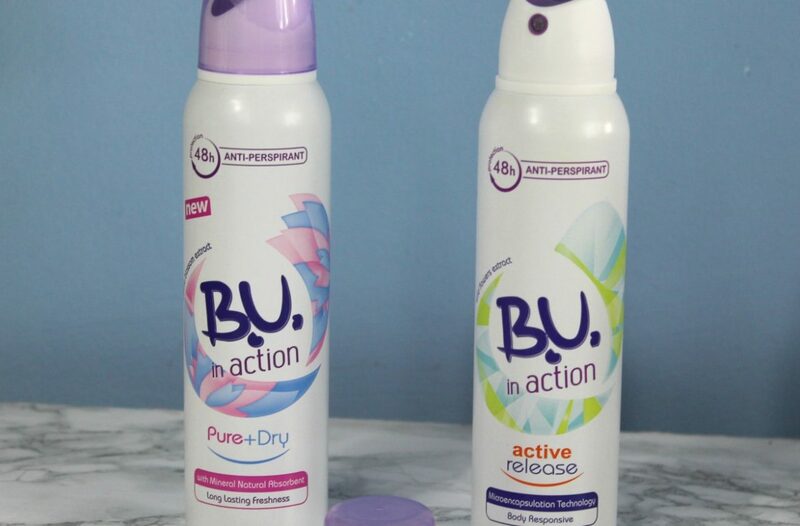 in action anti-perspirants. Today’s stars are the B.U. 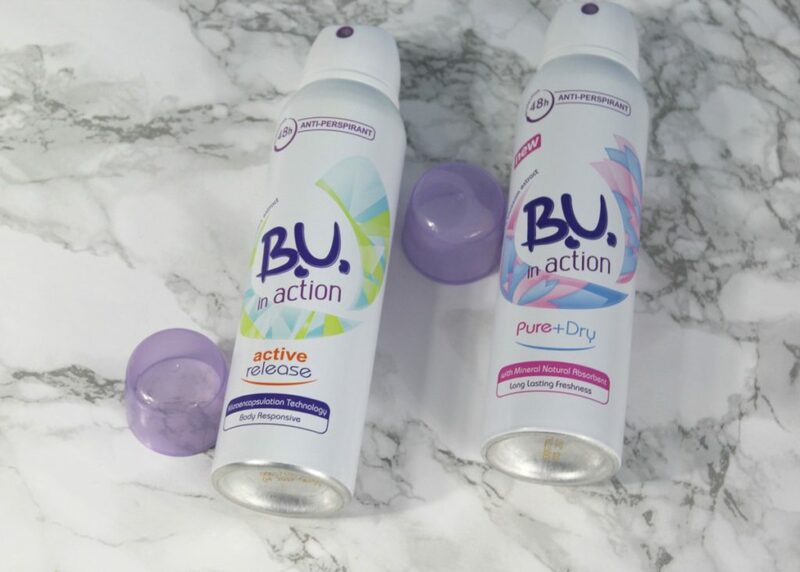 in action – Active release, Pure+Dry. The B.U. 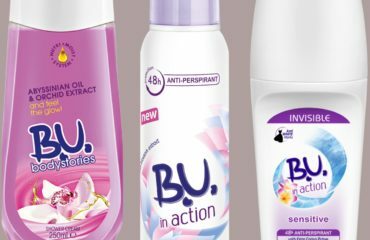 in action range was created for the modern, busy woman living the fast paced life. With a low whitening formula, 0% alcohol and gentle ingredients the range is perfect for a refreshed, protected skin all day long. 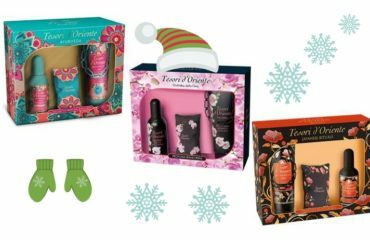 Its formula contains wild flowers extract and fragrance release, body responsive technology to keep the skin fresh and protected up to 48 hours. It comes in a 150 ml can and is dermatologically tested. I really love its fresh, flowery scent. 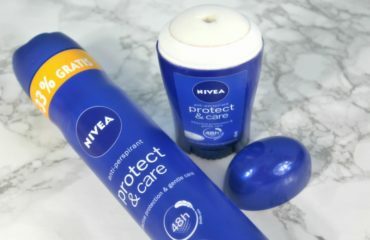 From the two deodorants I’ve tried, this one is clearly my fave. I adore it and I will definitely purchase it. It kept me fresh and comfortable all day (around 8 hours). On the highest of temperatures in the summer I felt the need to refresh the deodorant in the after-noon. I didn’t have any skin reactions such as burning, itching or reddening of the skin. Ingredients : Isobutane, Propane, Cyclopentasiloxane, Aluminum Chlorohydrate, Butane, C12-15 Alkyl Benzoate, Cyclohexasiloxane, Parfum, Isopropyl Myristate, Triethyl Citrate, Ethylhexyglycerin, Distardimonium Hectorite, Dimethicone, Sodium Starch Octenylsuccinate, Maltodextrin, Hydrolyzed Corn Starch Octenylsuccinate, Silica, Trifolium Pratense Flower Extract, Taraxacum Officinale Extract, Propylene Carbonate, Tocopheryl Acetate. It can be found in stores and online at aprox. 8-9 ron. Its formula contains sakura blossom extract and mineral natural absorbent to keep the skin dry and protected up to 48 hours. It comes in a 150 ml can and is dermatologically tested. Its scent is slightly sweeter, powdery, it can be a bit strong in the summer if you are scent sensitive, for me it was not a problem. It kept me pretty dry and comfortable all day (around 7-8 hours) in the highest of temperatures in the summer (I refreshed the deodorant during the day). I didn’t have any skin reactions such as burning, itching or reddening of the skin. Ingredients : Isobutane, Propane, Cyclopentasiloxane, Aluminum chlorohydrate, Butane, C12-15 alkyl benzoate, Cyclohexasiloxane, Parfum, Isopropyl myristate, Triethyl citrate, Talc, Ethylhexylglycerin, Disteardimonium hectorite, Dimethicone, Prunus serrulata flower extract, Propylene carbonate, Tocopheryl acetate, Alpha isomethyl ionone, Butylphenyl methylpropional, Citronellol, Coumarin, geraniol, Hexyl cinnamal.